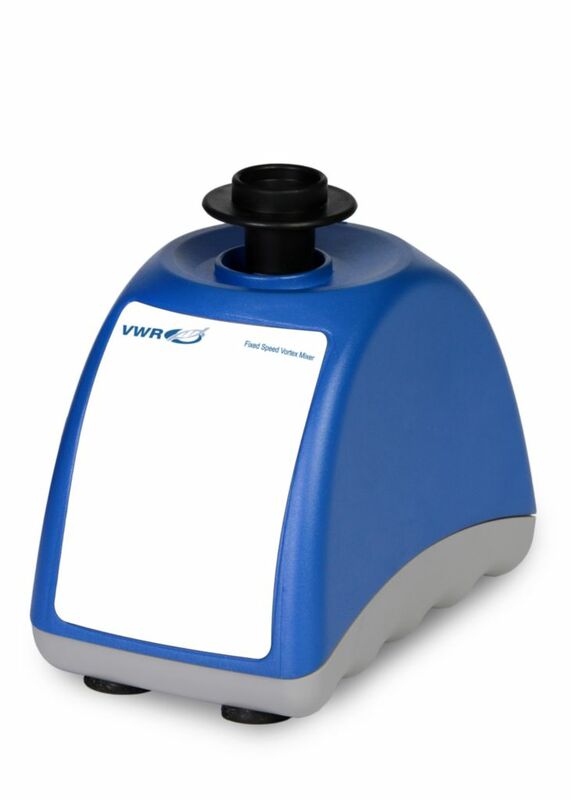 VWR® Fixed Speed Vortex Mixers start mixing when the cup head is depressed. Speed is a full 2500rpm to provide vigorous mixing of samples. VWR® Analog Vortex Mixers offer variable analog speed control with continuous or touch moe operation. 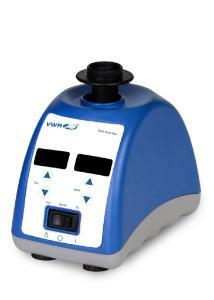 Control allows low rpm start up for gentle shaking or high speed mixing for vigorous vortexing of samples. Two modes of operation; continupus mode when using optional accessory attachments or touch mode which activates mixing when depressing the cup head. 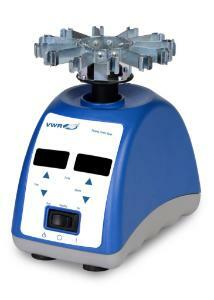 VWR® Digital Vortex Mixers are ideal for applications that demand repeatable results. Microprocessor control maintains set speed for strong, consistent mixing action. Touch pad controls and independent LED displays for speed and time. Timer will display elapsed time or when programmed to a user defined time limit, the unit will shut off when time reaches zero. Two modes of operation; continuous mode when using the optional accessory attachments, or touch mode which activates mixing when depressing the cup head. 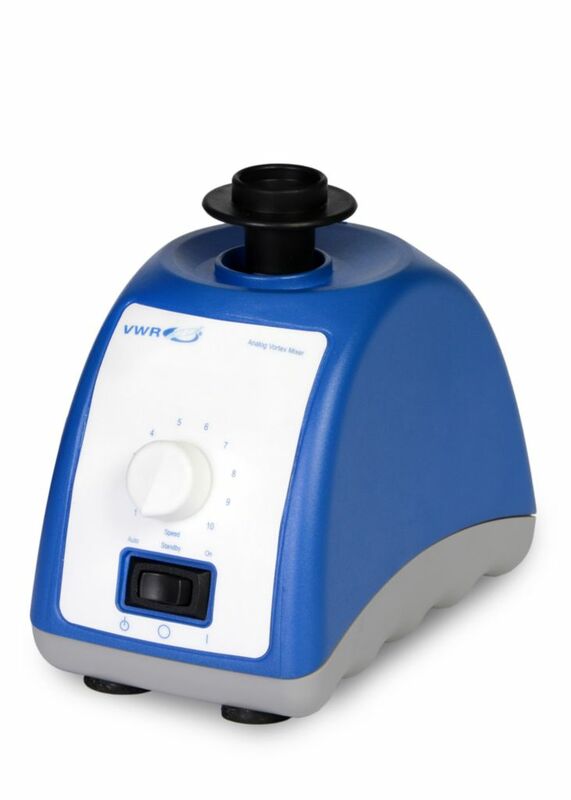 VWR® Pulsing Vortex Mixers are ideal for glass bead cell disruption/homogenization and provide a powerful pulsing vortex action. Capable of complete cell disruption of samples in only minutes. Unique pulsing action mixes at maximum speed for 30 seconds and rests for 10 seconds reducing heat generation while providing more effective mixing and disruption. Displayed time counts up during continuous operation and counts down during timed runs. Also includes a stainless steel microtube holder with built-in cup head. Certifications: TUV listed, CE marked. RoHS certified. Calibrated Vortex Mixers include a Troemner ISO/IEC Accredited Calibration Certificate traceable to NIST. The ISO/IEC 17025 Accredited Calibration Certificate includes multiple data points within the speed range and time function with the associated uncertainties. Troemner is accredited by NVLAP under Laboratory Code 105013-0 to perform ISO/IEC 17025 calibrations. Ordering information: All models include a cup head, three-inch head with cover, and a 72" (183 cm) cord with a Euro style plug. Pulsing Vortex Mixer includes a stainless steel microtube holder with built-in cup head and holds up to (12) 1.5 to 2 mL microtubes. 5 year limited warranty on parts and labor.